A topical album of sorts, the third offering from this longstanding trio abounds with references to, well, money and celebrity (or rather the most egregious / unjust / empty elements thereof). 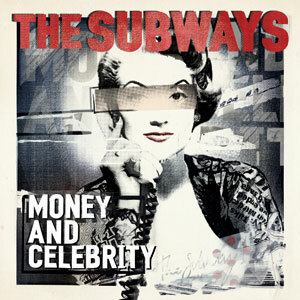 Thus, the tone is set for The Subways’ brilliantly anarchic punk-pop vignettes; each is a big musical middle finger that sticks it to financial greed, the mediocre mainstream and the fame fetishists. The riotous, scuzzy bounce of ‘We Don’t Need Money To Have A Good Time’ and lilting, sunny indie of ‘Popdeath’ are perfect musical snapshots that capture not only the band’s sociocultural conscience, but also their enormous sense of fun. A fine new outing.